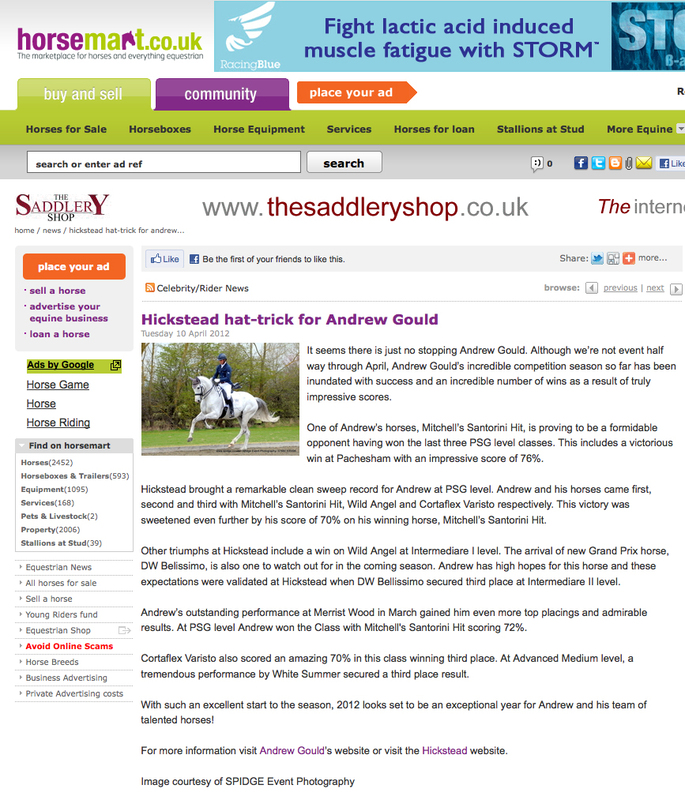 Andrew has been selected to compete at both the Hartpury CDI 3* and the Hickstead CDI 3*! Not only that but he has been selected on both Mitchell's Santorini Hit AND Wild Angel. Mitchell's Santorini Hit has recently enjoyed International success with a win at Compiegne in France earlier in June and Wild Angel won the Inter I at Hickstead Premiere League last week with 70.96%!! So both horses are on great form.... we wish them luck! Andrew is celebrating a spectacular win on Wild Angel with a score of 70.96%!! The pair won the Inter I class at Hickstead Premiere League and have qualified straight through to the National Championships. Live facebook chat with Andrew � Wednesday 22nd June! On Wednesday 22nd June you can chat with Andrew live on facebook. 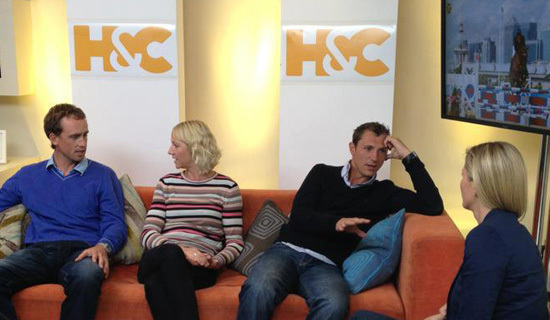 Between 7pm and 8pm Andrew will be hosting his first live chat room via his facebook page. 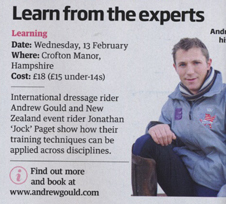 So get all your horse training and riding questions ready, as this is your opportunity to ask Andrew directly the questions you would like answered. Join us on the page between 7-8pm and post your questions on the Andrew Gould, Priory Dressage Official Facebook Page wall. Andrew will be standing by at his computer ready to help with riding and horse related problems. 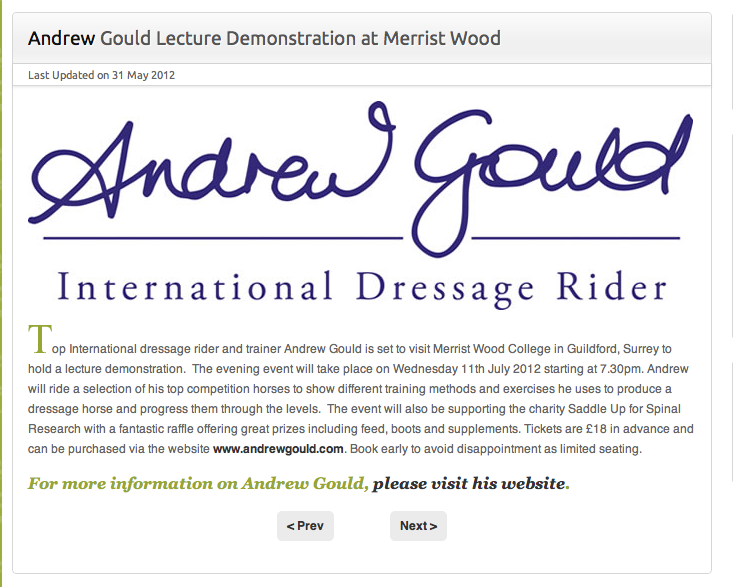 We hope that everyone can get some great tips and advice from one of the UK�s leading dressage riders. 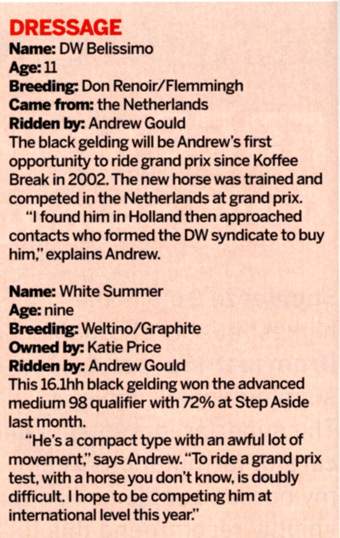 Andrew returned from a successful trip to France, to enjoy a winning ride on Mandy Crouch’s stunning mare, Wild Angel. Together they won the Prix St George with an impressive score. 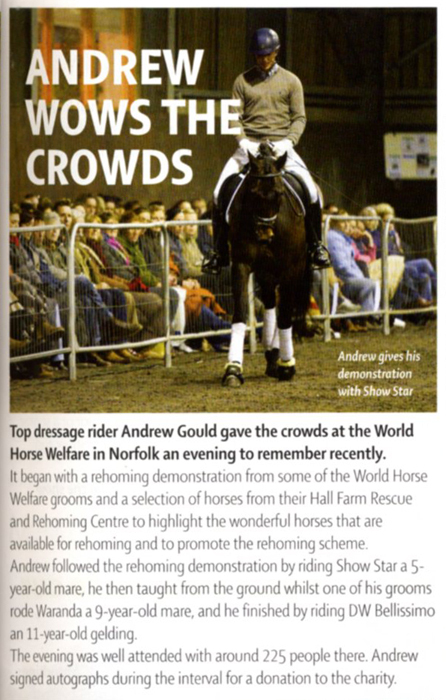 Andrew and Wild Angel’s success at Wellingotn was reported in the Horse & Hound on page 39, with a great quote from Andrew and a lovely picture. Andrew and Mitchell�s Santorini Hit win International Kur! Andrew Gould headed off to the Compiegne CDI 3* last week where temperatures were in the mid-thirties to compete in the dressage Small Tour with Natasha Mitchell’s grey gelding Mitchell’s Santorini Hit. The pair has been constantly well placed over the past few months and Mitchell’s Santorini Hit proved to be on-form in France following his win the week before at Somerford. 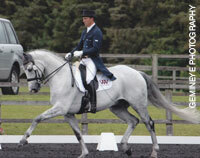 On the first day Andrew was fifth in the Prix St George. Andrew then decided to compete in the Intermediare I Kur on the second day with his enjoyable freestyle routine made up of Bryan Adams’ ‘Run to You’ for the trot work and Rob Dougan’s ‘Will you Follow Me?’ for the walk and canter. 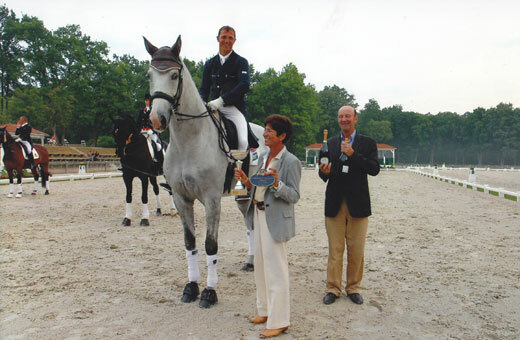 They were very successful with a score of 70.62% to win the class – Andrew’s first international win! Andrew will now put himself forward for selection for the two home International competitions in July. 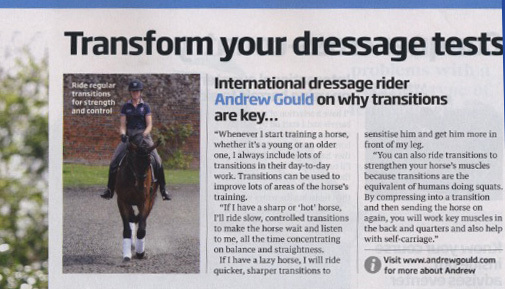 Andrew explained: “This horse is getting better and better with every show, he has so much quality. I am hoping to compete him at Hartpury CDI 3* and Hickstead CDI 3* as he is on fire at the moment!”. 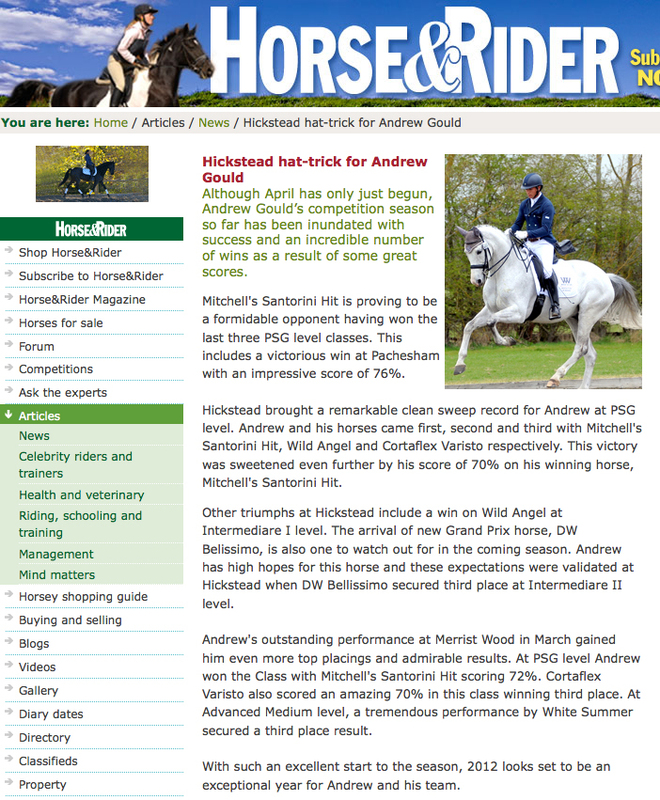 Andrew rode Mitchelle�s Santorini Hit at Somerford Premiere League last weekend to win one of the PSG classes. This is the striking grey�s second win at a Premiere League this month. The pair now head off to Compiegne in France for their first International call up. 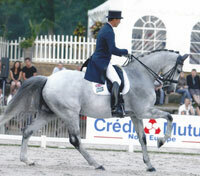 Andrew has left the UK today for France to compete in the CDI3* in Compiegne. 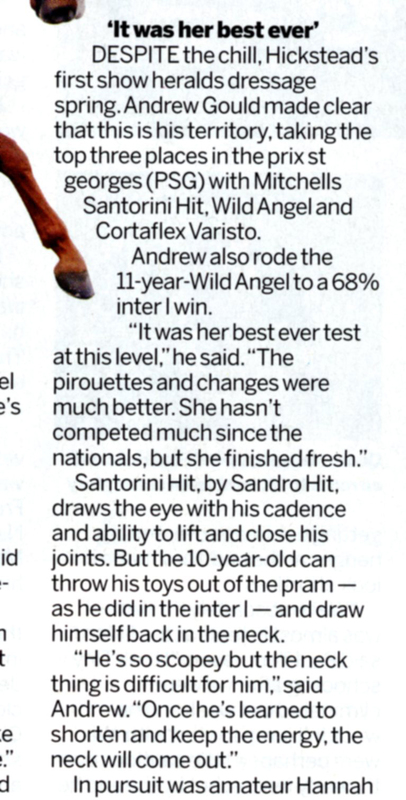 Andrew will be competing on Natasha Mitchell�s Santorini Hit and representing Great Britain. Andrew hasn't completed Internationally since loosing his horses Numero Uno and Cadre Noir three years ago. We will keep you updated with the results as we receive them and we wish Andrew and Mitchell�s Santorini Hit the best of luck! !